"Brandon Lee is an American journalist, motivational speaker and fine art artist. He found his calling at an early age, when he discovered he wanted to pursue a career in broadcast journalism. He began as an intern on the Today Show in New York City and as a producer for WNBC’s Today in New York, where he covered the 9/11 terrorist attacks and aftermath. Despite being told that he was too young, or didn't have the right look or voice, it was Brandon's passion that fueled his fire to persevere. He won an Emmy award in 2007 and has been nominated for nine others. He credits courage and determination for advancing him in his profession. 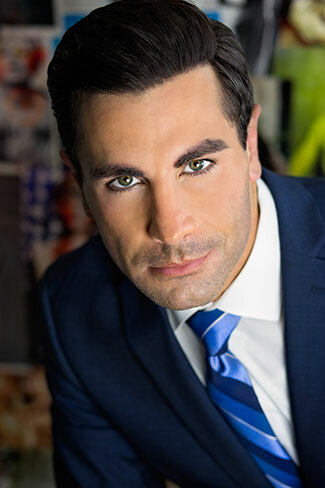 Brandon has worked as an anchor and correspondent for network affiliates in Hartford (NBC), Boston (NBC), Los Angeles (KTLA-CW), and Atlanta (CBS). Brandon Lee is also an accomplished artist who uses his paintings as an outlet for his creativity. His work is featured in galleries in Atlanta, Los Angeles and Miami. Select pieces have also been featured on HGTV and on display at The W Hotels. He inspires his audience to have the courage to chase big dreams and never look back."